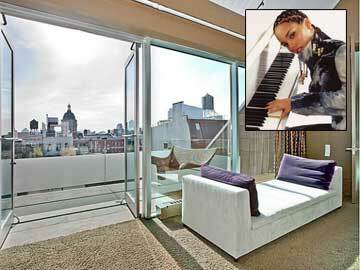 American singer and song writer Alicia Keys has listed her property in Crosby Street, Manhattan, New York for $17.5 million after only two years of living there with husband Swizz Beatz. The couple, who has a toddler son, thought the Manhattan penthouse is too much and is willing to leave the very luxurious place they bought from fellow singer/rock star Lenny Kravitz for $12.5 million. Alicia’s husband, Mr. Beatz, who is Kasseem Dean, recently got $787,985 tax lien case from the IRS, according to reports listed on the New York City Registrar. The proceeds from the sale of the property will for sure help Ms Keys and Mr. Beatz. Meantime, the couple’s SoHo abode, has one of the grandest views of the Manhattan skyline because of its 3,000 square feet terrace. It also boasts of 5 bedrooms, 4 bathrooms, a floating staircase connecting the living room with fireplace, a media/library room, a glass solarium dining area and the gourmet kitchen. The master’s bedroom also has a private terrace and spa. Ms Keys could hopefully sell the property as swiftly as Ms Oprah Winfrey did with hers for no more than three months after it was listed for auction. Listing her full-floor penthouse in February, Ms Winfrey was able to sell her property for $7.9 million to a British financier this month, the Daily Mirror reported. 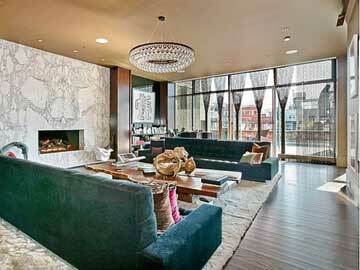 The condominium located at 207 E. 57th St. in Manhattan was purchased by Ms Winfrey for $7.3 million in 2008. It has 3 bedrooms, 3 and half bathrooms, walk-in closets and 768-square-foot terrace, according to the listing broker Corcoran Group.